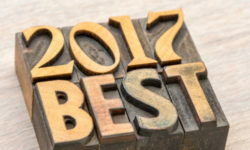 As we prepare to close out 2017, here’s a look back at this blog’s most popular articles from the past year—the top 10, along with a few extras. My hope in sharing them is that they may spur some ideas that’ll help you plan ahead for a great 2018. 1. The Case Against Frugality. With apologies to those who do frugal well, I’ve never cared for the term. The phrase I prefer is “money-smart.” Here’s why. 2.‘Grandma Had Love.’ Going to a funeral and hearing how a person’s life is summed up can make you think about what you’re pursuing and what matters most. At least, that’s what happened to me at my mother-in-law’s funeral. 3. A Tribute to a Generous Man. Just seven months before my mother-in-law passed away, my father-in-law died. He left behind a wonderful legacy of generosity. 4. An Irrational Financial Act. Of all the things we can do with money, giving it away seems completely, utterly irrational, doesn’t it? Here are three reasons why it actually makes all the sense in the world. 5. Just Passing Through. Within the realization that this is not our home is the power to completely transform—to greatly improve—our relationship with money. 6. Radical Ways to Accomplish Your Financial Goals. Quite possibly, the most dramatic step I’ve heard of anyone taking to get his or her finances right is going on a spending fast. 7. The Real Cost of Cars. When shopping for a car, there’s a lot more to consider than the price. 9. Living an Open-Handed Life of Faith. If I could choose one post that I’d love each reader to share with at least one other person, this is the one. 10. How ‘Anchoring’ Can Mess With Your Mind and Money. One of the many cognitive biases that can trip us up. It’s Amazing What You Can Get Just By Asking. From lower prices to better tables at restaurants, it pays to speak up. Automating Financial Wisdom. I almost titled this post, “You Can’t Automate Financial Wisdom.” But then I realized, you can. 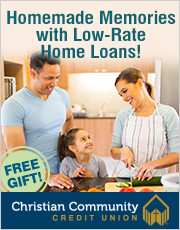 The Pull of the Neighborhood: Four Ways to Keep Your Financial Footing. The people around us influence our use of money more than we realize. Here’s how to live your life, not your neighbors’ lives. One of the Least Appreciated ‘Secrets’ of Warren Buffett’s Success. Yes, he has a talent for value investing, but there’s something else at work here that takes far less skill to emulate. The Priceless Joy of a Little Impracticality. Sometimes you have to look past the spreadsheet, or your 11-year-old’s bedtime, to see what really makes the most sense. Thank you for being part of the community here at Matt About Money. Writing this blog is one of my great joys, and I consider it an honor that you are a subscriber. Here’s looking forward to an even better 2018. Matt, thank you so much for highlighting the most popular posts of 2017. This is a great way to go back and underline the big stuff! I so enjoy reading your blog each week. Thanks, Brad. Blessings to you for a great 2018!